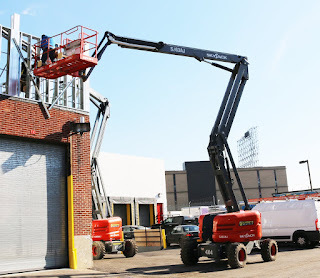 What Type of Boom Lift Should I Rent? Straight Boom or Articulated Boom? Straight boom lifts and articulated boom lifts may look similar, but each serves a slightly different purpose. Use this guide to decide which type of boom lift fits your project's requirements. Straight booms are also commonly referred to as “stick booms” or “telescopic booms”. Straight booms usually outperform articulating booms in both reach and capacity. The straight boom's single arm can extend anywhere from 45 to 180 feet, maneuvering maximum capacities of 500 to 1,000 pounds, usually a maximum of two operators. Some straight booms come equipped with "dual-fuel" (gas or LPG) options, for both indoor and outdoor applications as LPG will not create any hazardous fumes. Straight booms are ideal for situations where horizontal reach is as important as vertical reach. They can extend over rivers, obstacles, and delicate or hazardous areas.These booms have a variety of uses including, sporting events, inspections, bridgework, construction, painting and general high-reach maintenance applications. 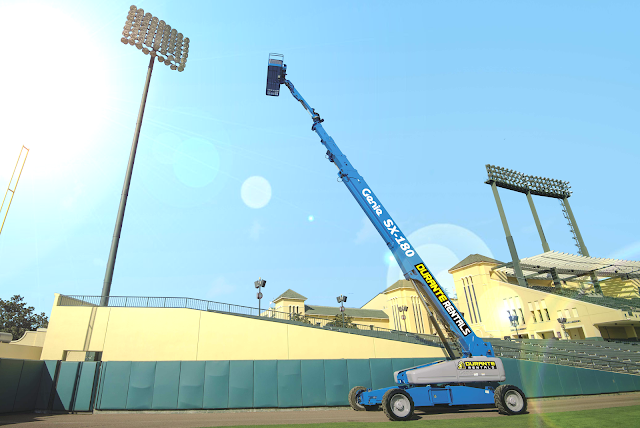 These versatile machines are also known as “cherry pickers”, “knuckle booms” and “up-and-over booms”. They support a work platform at the end of a long boom with several joints or “knuckles” which “articulate”, giving operators a tremendous amount of control. 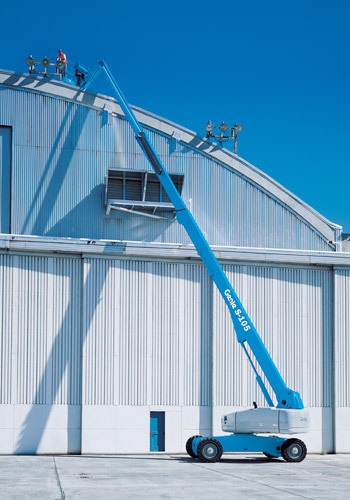 Articulating booms can stretch anywhere from 40 to 141 feet, allowing operators to maneuver up to 500 pounds of materials, workers, and equipment into hard-to-reach areas. These lifts handle rough terrain conditions better then straight booms. Many feature full-time positive drive traction systems and active oscillating axles for better traction and for situations with varying gradients. 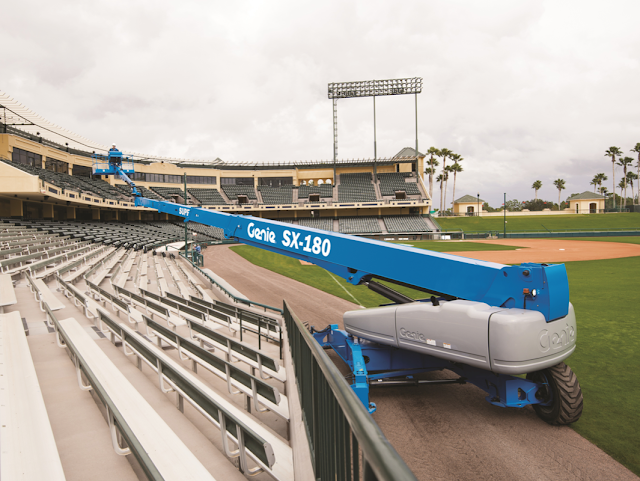 Many articulated boom lifts also feature high ground clearance and four wheel drive options. These machines are ideal for outdoor construction, industrial applications, electrical work, painting, demolition, and certain event applications. 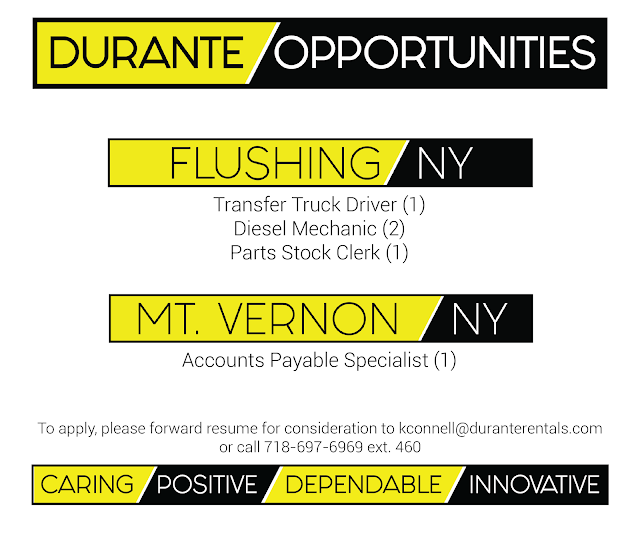 If you have any questions about which type of lift is right for your job or for any general equipment inquiries, call Durante Rentals at 1-800-DURANTE or chat with us live at DuranteRentals.com. 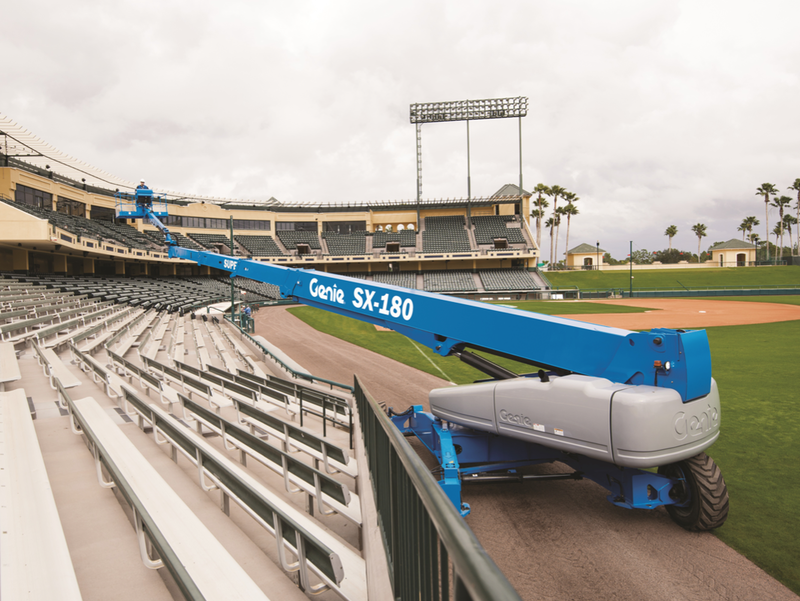 Check out our website for more information on our boom lift rentals. 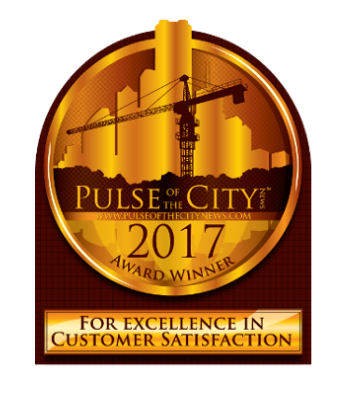 Last week Pulse of the City decided to honor Durante Rentals with their coveted Award for Excellence in Customer Service. This award is granted to businesses who excel in customer service based on a database of performance information compiled by Pulse of the City on an ongoing basis since 2009. Thank you to Pulse of the City News for recognizing the work that Durante Rentals staff puts in every day to maintain our company-wide culture of top-notch customer service, open communication and mutual respect. Has the cold weather left you concentrating on your indoor projects? 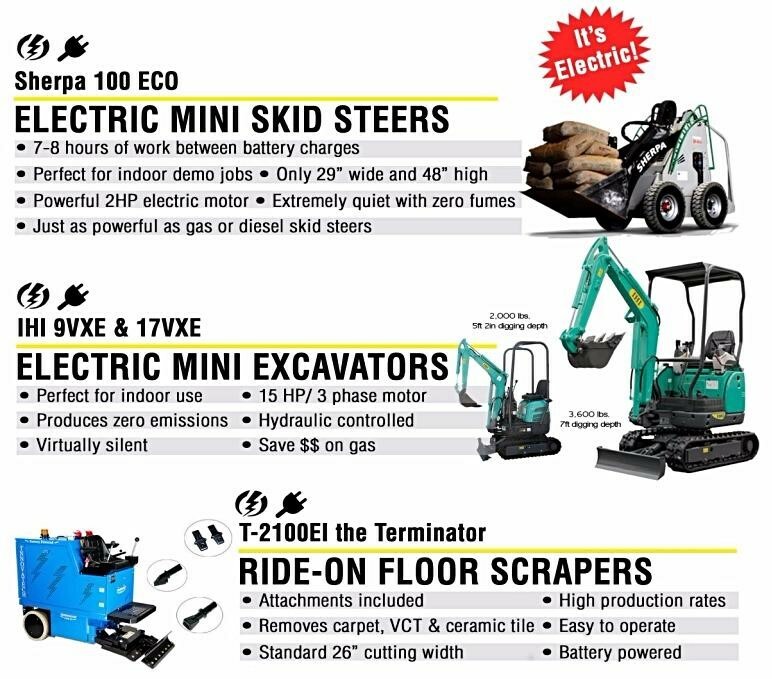 AWP's, conveyors, cut off saws, electric mini excavators, electric mini skid steers, electric scissor lifts, generators, grout pumps, heaters, material lifts, shop forklifts, ride-on floor scrapers, welders and more.